The Catholic Church teaches that marriage is an enduring and exclusive partnership between a man and a woman, for the giving and receiving of love and the procreation and education of children. In unions where both parties are baptized, marriage is also a sacrament. Because the institution of marriage is of divine creation, the Church’s teachings concerning the dignity of marriage apply to all marriages, not merely those of Catholics. Therefore, although not every marriage is a sacrament, every marriage—or, at least, every marriage in which both parties are marrying for the first time—is presumed to be valid. This presumption is the case for every marriage, regardless of whether the parties to it are Catholic. However, in some cases, this presumption may be wrong, and the marriage in question may be declared invalid. This declaration by the Catholic Church is what is commonly known as an annulment and is referred to as a declaration of nullity by the Catholic Church. The word annulment is not used in the universal law of the Church. It is not utilized because it is inappropriate. The word annulment implies that you are taking "something" and wiping it away. This is not what is being done when a declaration is granted. The more apt term is declaration of nullity. The Church is really declaring, in hindsight, that on the day of the wedding specific factors (consent, its legitimate manifestation, or the legal qualifications of the ministers) prevented the two ministers from bringing about a valid sacrament. The ceremony is not wiped away - all the guests saw it happen! The relationship of husband and wife is not wiped away - that remains the supposed relationship between the man and woman. The children are not wiped away - they remain legitimate. The declaration states that a valid marriage had not been brought about, as had been presumed. The purpose of a nullity process is to determine whether or not an indissoluble marriage bond was created when the parties entered their marriage on the day vows were exchanged. A declaration of nullity may be granted only if evidence demonstrates that there was a fatal flaw from the start of the union. An "annulment" does not concern whether the marriage was a happy one, whether one of the spouses later became unfaithful, or later decided not to have children, but only their intention on the wedding day. If a marriage was made that day it is a life-long bond, irrespective of what happened later in the marriage. Over the centuries, the Catholic Church has learned that certain intentions and capacities must be present on the part of the bride and groom from the very day of their wedding. Without these intentions and capacities, there is no marriage. In this situation, regardless of external appearances or subsequent events, such a union may be formally declared invalid by the Church. The purpose of the declaration of nullity process is to determine whether such a declaration is possible and on what grounds. Thus a declaration of nullity is essentially different from a divorce. A divorce states that two people, who had been validly married, are married no longer. A declaration of nullity, on the other hand, states that because something which is necessary and indispensable for a valid marriage was missing at the time two people exchanged consent, a valid marriage has not come into existence. It is thus clear that an annulment is not a divorce, “Catholic” or otherwise. One requirement for a marriage to be valid is that it be entered into freely by both parties and not, for example, motivated primarily by the desire to escape an unhappy home or to legitimate a child conceived out of wedlock. In addition, both parties must understand and undertake from the start of the union to bind themselves to the essential elements of marriage, namely fidelity, permanence and openness to the birth of children, as well as committing themselves to a partnership of the whole of life. Finally, both parties must have had the necessary maturity, mental stability, discretion and prudence at the time of their wedding to choose a good marriage partner and to be one for the remainder of their common life. No human power can dissolve a valid, consummated sacramental marriage. This statement is rooted in the Church's scriptural, theological and canonical traditions. A declaration of nullity is not a dissolution of marriage. It is not a "church divorce." Rather, it is a judicial pronouncement that a valid marriage had not been brought about as the faith community had presumed. The law states that marriage is brought about through: (1) the consent of the parties (the bride and groom), (2) legitimately manifested, (3) by those qualified according to the law (again, the bride and the groom). If a tribunal investigation determines: (1) the consent was defective, then marriage was NOT brought about, (2) if the consent was NOT legitimately manifested, then marriage was NOT brought about, (3) if one or both of the persons was unqualified according to law, then the marriage was NOT brought about. In each situation there is a judicial determination that marriage had not been brought about as had been presumed. There is no dissolution of a marriage bond. It should be underscored at this point, however, that for the most part, ecclesiastical declarations of nullity have no civil effects in the United States (and, indeed, in most countries of the world). Thus, an annulment never affects the legitimacy of the children born of the union (this is so according to both civil law and canon law); an annulment will not claim to affect either the distribution of property or the award of the custody of the children. Who Should Seek a Declaration of Nullity? Any person (regardless of baptismal status) who seeks to marry in the Catholic Church but has been previously wed must have a decision from the Tribunal as to every prior union. This most often takes the form of an annulment, but the proper process for each case is sometimes difficult to determine until the case is presented to the Tribunal. At that time, if a more abbreviated process is possible, the person seeking to be free to wed in the Church will be informed. The Catholic Church also requires an intended spouse, who is divorced but not Catholic, to obtain an annulment before marrying in the Catholic Church since the Church respects all marriages and presumes that they are valid. Thus, for example, it considers the marriages of two Protestant, Jewish, or even nonbelieving persons to be binding for life. The Church requires a declaration of nullity to establish that an essential element was missing in that previous union preventing it from being a valid marriage. This is often a difficult and emotional issue if the intended spouse comes from a faith tradition that accepts divorce and remarriage. Couples in this situation may find it helpful to talk with a priest or deacon. To go through the process can be a sign of great love of the non-Catholic for their intended spouse. In addition, if a person wishes to be baptized or received into the Catholic Church and is in an invalid marriage (e.g., a second marriage contracted during the life of the first spouse), an annulment or similar ecclesiastical process is necessary before baptism or reception. As an aside, it is important to note that those Catholics who remarry after divorce, without obtaining a declaration of nullity, are not automatically excommunicated. While they are living in a state that is in contradiction to the teaching of the Church on marriage and are thus in manifest grave sin, they do not incur the penal sanction of excommunication for this reason. This was the case in the United States until 1977. The penalty of excommunication was imposed exclusively within the United States by an ecclesiastical council in 1884. 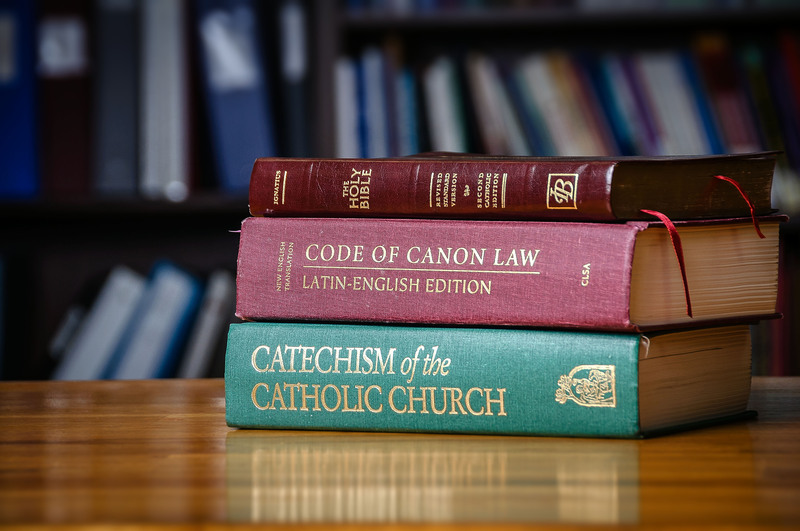 However, since the revision of the procedures for annulments and the promulgation of the two new codes of canon law, no one is any longer subject to such a penalty. Because a person divorced and remarried without a declaration of nullity for the prior union cannot be considered to be living in a state of life that mirrors the union between Christ and the Church which is signified by the Eucharist, such a person is not permitted to receive Holy Communion until their marital status is resolved. This is, however, not the result of the public imposition or declaration of an ecclesiastical penalty, but rather the result and consequence of the person’s public circumstances and behavior. Several steps are involved. The person who is asking for the declaration of nullity – the petitioner – submits written testimony about the marriage and a list of persons who are familiar with the marriage. These people must be willing to answer questions about the spouses and the marriage. The Tribunal will contact the ex-spouse – the respondent – who has a right to be involved. The respondent’s cooperation is welcome but not essential. In some cases if the respondent does not wish to become involved, the case can still move forward. The length of time involved varies from case to case and depends on many factors, most of which are beyond the control of the Tribunal. 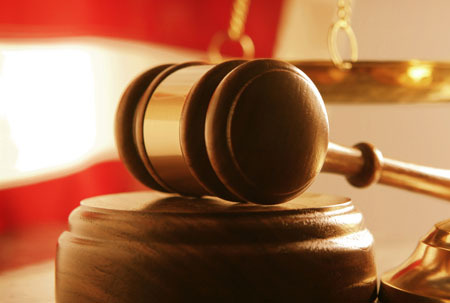 The Petitioner will be informed of the average length of time for the type of case presented. It should be understood that this is simply an average and by no means guarantees that the case will be completed in that time or that the final decision will be favorable. For this reason, the parties are cautioned against making any plans regarding a future marriage until the entire Tribunal process is complete and the final decision rendered. A favorable decision in the Diocesan Tribunal must be reviewed by the Court of Appeal of the Province of Atlanta. This requires additional time, which may be substantial depending on the kind of case. This is another reason why a Petitioner should make no plans for a marriage until the process is finally complete. Upon completion, the Petitioner is notified and sent a copy of the final decree. A similar communication is sent to the Respondent unless he/she has indicated to the contrary or has waived the right of notification either expressly or tacitly earlier in the process. What are the benefits of the Declaration of Nullity Process? The Cathedral of Saint Patrick will appoint a Tribunal advocate who will meet with interested parties and walk your through the process. 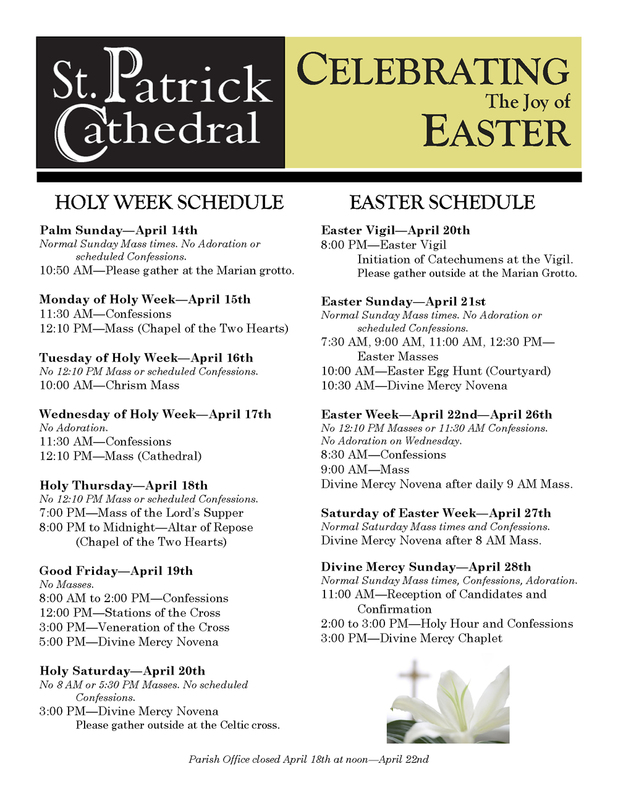 Please contact the parish office to schedule a meeting or click here for more information. If a marriage is declared null, is it saying that my marriage never existed? No. The Church acknowledges that your marriage existed in the legal sense. The annulment process only examines the sacramentality of the marriage. How can the Church determine if my marriage was sacramental? The circumstances of the marriage will be looked at in comparison to a set of criteria which the Church says need to be present for a marriage to be considered sacramental. If it is determined that one or more of these criteria was missing at the time of the marriage, the marriage can be declared Null. How does an annulment affect the legitimacy of children or child support? Not at all. The annulment process only deals with the sacramental nature of the marriage and not the legal dimension. Timing is dependent on many things but generally a year should be expected. Yes. The Church feels that both partners have a right to participate in the process. However, a former spouse can wave his or her right and the process can proceed without his/her participation. You will be asked to fill out an application, write a history of the marriage (guide sheet available), identify at least two other "witnesses" who could share their perspectives, gather some documents (Baptismal certificate, marriage certificate, divorce decree), and submit it all to the Diocese of Charlotte Tribunal. How do I know what diocese can handle my annulment case? An annulment case can be handled in the diocese where the couple was married, in the diocese where the Respondent (the former spouse) currently resides, or in the diocese where the Petitioner resides, with the permission of the Respondent's diocese.